Or rather, a 'Remember-me?-I'm-NOT-dead!" post. I have started working as a middle school English teacher since the last time I was here and that keeps me more busy than I had imagined possible. But I have been reading and with the new job dust finally starting to settle, I find myself with time and inspiration to write. Here is a look at what I read in May and what I will be posting about in the coming weeks. 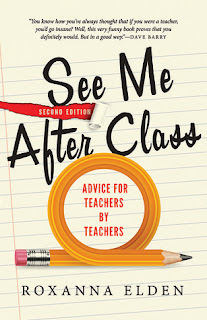 I have been skimming through a thoroughly entertaining book called See Me After Class: Advice for Teachers by Teachers by Roxanna Elden. If you have ever fostered the dream of being a school teacher, fantasised about all the amazing learning that will happen in your class, read this book and watch the fantasy collapse into a puddle. 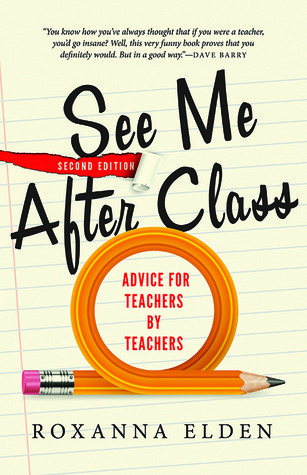 A perfect read for a new teacher, this is a treasure-chest of expert advice and ill-conceived humour. It has poems, tips, suggestions and much-needed consolation. The book warned me my first day would be bad and that it was okay, and oh-my-god was my first day bad. And it was actually okay. Two months into the job, the book still temps as my bible, and I find myself returning to it on particularly tough days. Every job needs a survival guide. I borrowed and devoured the much-discussed When Breath Becomes Air by Paul Kalanithi, a neurosurgeon's view on life and death. I am overcome with awe. That book needs a separate post and I am not ready to write it just yet. School required me to reread Black Beauty by Anna Sewell, the classic 19th century autobiography of a horse, and I enjoyed every bit of it. I remember as a child being utterly fascinated by the idea of an animal's autobiography, while deeply saddened by the part-tragic life story of that wonderful horse. Researching it now, I discovered that writer Anna Sewell was crippled as a child and spent the better part of her life being driven around in horse-drawn carriages. It was then that she noticed the suffering of the animals she so depended on. Black Beauty was the only book she ever wrote. 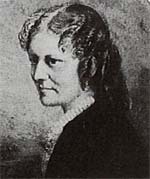 She died shortly before turning sixty, only five months after her book was published. It was written to inspire kindness in people. It always interests me to note the motive in writing a story and in this case, the back-story is touching. Black Beauty was not intended as a children's book. Meanwhile, I have been reading a book called Love Stories From Punjab by Harish Dhillon, also borrowed, which is quite charming for a title that corny. Review shall be posted. I decided to abandon Big Magic by Elizabeth Gilbert as it seemed more patronising than inspiring with every new page. I have instead chosen to seek my inspiration from the ever delightful Keri Smith and have been slowly trudging through Wreck This Journal: To Create is to Destroy - only the greatest book of creative prompts for artists and freaks like me. I made an Instagram page to chronicle my journey through the book and will share it here once it is substantially fuller. In other bookish news, a friend of mine gifted me an adorable set of magnetic bookmarks which are too precious for me to start using just yet. And a half a month ago, this blog turned another year older with no one to celebrate. Well, happy birthday, Tabula Rasa, better late than never. I might pull mini disappearing acts every once in a while, but I'll stick around for the long haul. Good to read your blog again! I'm always on the lookout for recommendations. Currently enthralled by Miss Buncle's Book by DE Stevenson. Welcome back and congratulations on your new position. It looks like you have been reading some really interesting books. When Breath Becomes Air sound so good. I am looking forward to reading your thoughts on it. Congrats on your new job. Sorry to hear you didn't enjoy Big Magic enough to keep on reading. I shall have to take a look at "Wreck This Journal: To Create is to Destroy". I love books on creativity. Brian, I can't find the right words for it, it's really good. Wow, I never knew that about Anna Sewell. What a sad thing, and how wonderful that she paid attention to the horses that were taking her everywhere. I remember Black Beauty from my childhood, as a television series. I must have read it as well; I read everything in those days. I didn´t know about the author, that is very interesting. Jenny - It is very sad. For me though, I was reluctant to read it as I thought it would be too childish for me now, because I read it so long ago. It's curious how wrong I was! It's not a children's book at all, in retrospect... so heavy and dark at times. Congratulations on your new position. I too am joining the workforce again (starting 5th july). I am nervous and excited, and will try my best not to disappear from the blog, though I am not sure how much reading time I will be able to put in, at-least until the new job syndrome wears off. Wow, congrats on your getting-back-to-work too, Shanaya. :) I do hope you continue to blog.